To apply for membership contact the Membership Secretary, Rosaleen Wilkinson. We rehearse every Monday evening 7.15 p.m. – 9.30 p.m. at St James Road Methodist Church Hall, St James Road, Shirley. SO15 5HE. There are vacancies in all voice sections of the choir, although sometimes sopranos may have to go on a waiting list for a while until there is a space for them. 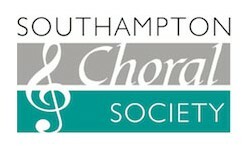 Southampton Choral Society is a prestigious choir with just over 100 members. We perform with professional orchestras and soloists, and we sing in various venues in the Southampton area, including Winchester Cathedral, Romsey Abbey, Southampton O2 Guildhall, St James Church, West End, and the Central Hall. Members of the choir take part in civic events such as Remembrance Day parades, Music in the City, and at performances in the Mayflower Theatre. We usually invite prospective members to come along to one or two rehearsals, without obligation, to see if they feel this is the right choir for them. If you decide to join you will need to take a short voice assessment with the conductor. This is done in private and is very informal and friendly. It involves singing notes and scales to check your vocal range and to decide which is the right vocal section for you. Then you sing a piece of your own choice. This can be a simple hymn, carol or folk song, or you can sing an operatic aria if you wish. There is no sight reading test. You need to have a pleasant voice and it helps to be able to read music to some extent. Being a member of the choir is fun, but it is also challenging and exciting, and you need to be committed and able to attend rehearsals on a regular basis. We are also expected to do “homework” in preparation for rehearsals and to learn difficult passages. Midi-files are available on our website which play your part electronically for you to sing along. Cheap recordings of the works are also available. The annual subscription (payable in September) is currently £140 full adult, £120 pensioner, and £40 student. If you join at other times of the year it is reduced accordingly. Some people are surprised that there is a subscription at all, but there are many expenses involved in running the choir and these have to be met from the membership subscriptions. If you would like to discuss any aspect of membership please phone me on 023 8078 1012. We look forward to welcoming you to the choir..